First melt the butter in a medium size saucepan. Then sauté the onions over medium heat for five minutes or until tender. Then add the remaining ingredients except for the cream and cook for 15 more minutes, stirring occasionally. Blend the contents with an electric hand mixer until an even consistency is reached. Adjust the seasoning as desired before adding the cream. Continue cooking and let the soup reduce slightly before removing from heat. Serve hot and garnish with freshly grated cheese. Try substituting the broccoli or spinach for (chopped) frozen cauliflower or asparagus. I love spinach either in soups, pasta or even inside empanadas, but it usually isn’t a kid favorite! Even so, it’s a good idea to try to show them this great vegetable while still young. One of the best ways to enjoy this new food is as a soup. 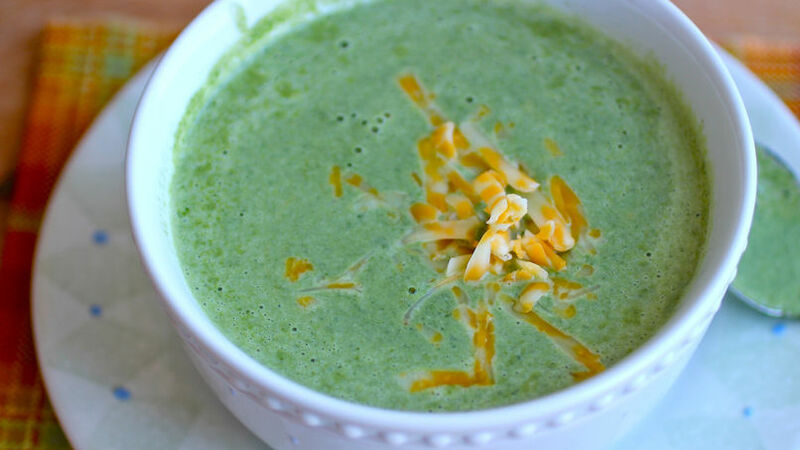 This hot meal with broccoli and spinach is perfecta for winter or a rainy day. The recipe is easy to pre-pare and uses basic ingredients: onion, garlic, cumin, spinach, broccoli and chicken broth. Even vegetable broth can be used for a vegetarian version. When I make this soup at home, I serve it with grated cheese sprinkled on top.